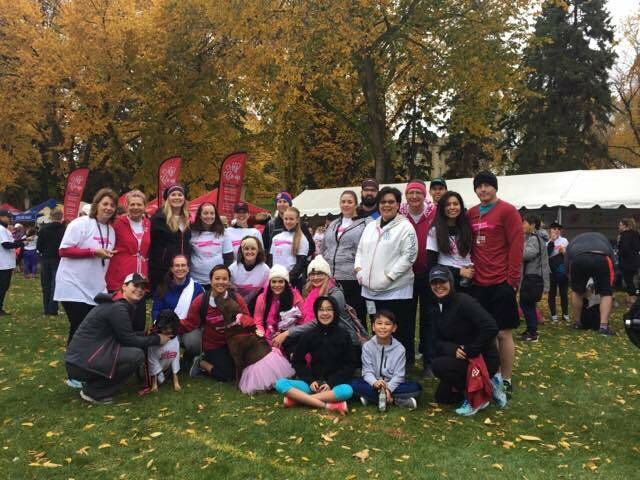 Run for the Cure event for 2017 was a success! It was much nicer weather than last year. 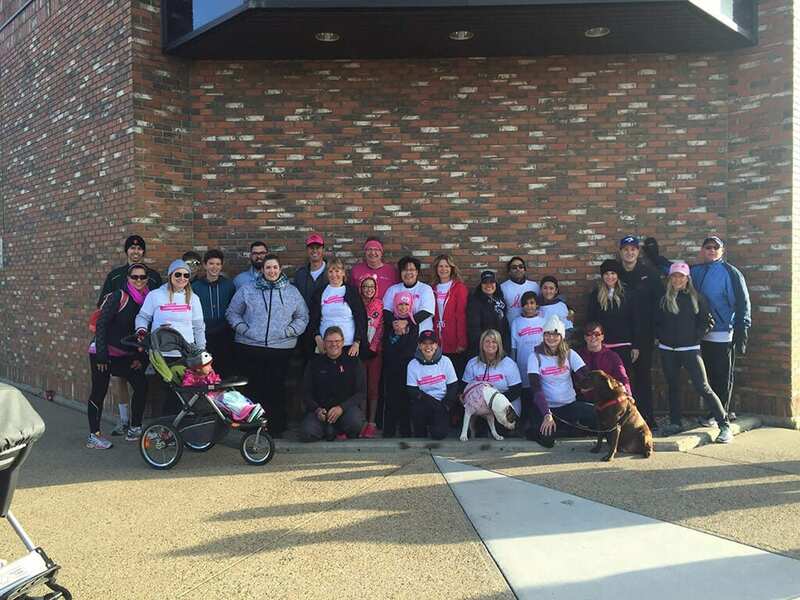 Some of our staff ran, some walked, and fun was had by all! 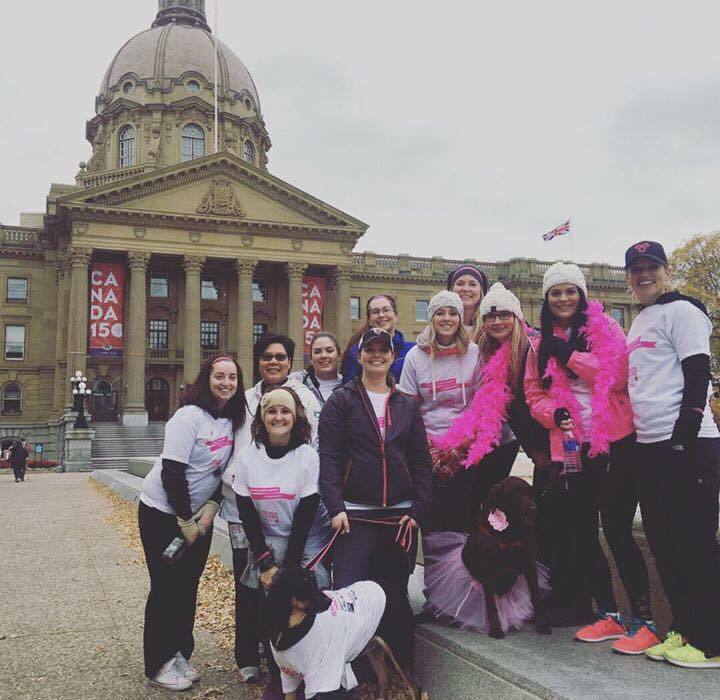 1 in 8 women will be diagnosed with breast cancer. 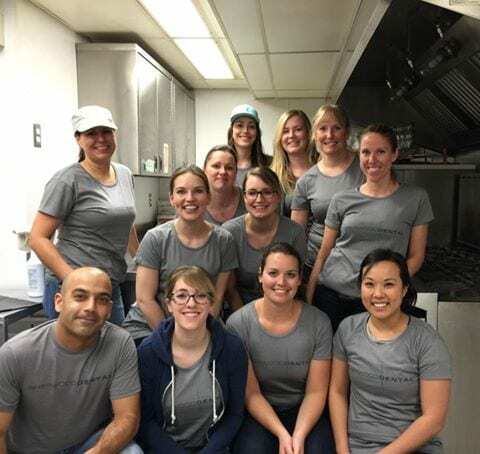 With a largely female staff we believe it is so important to support other women and this CIBC event. 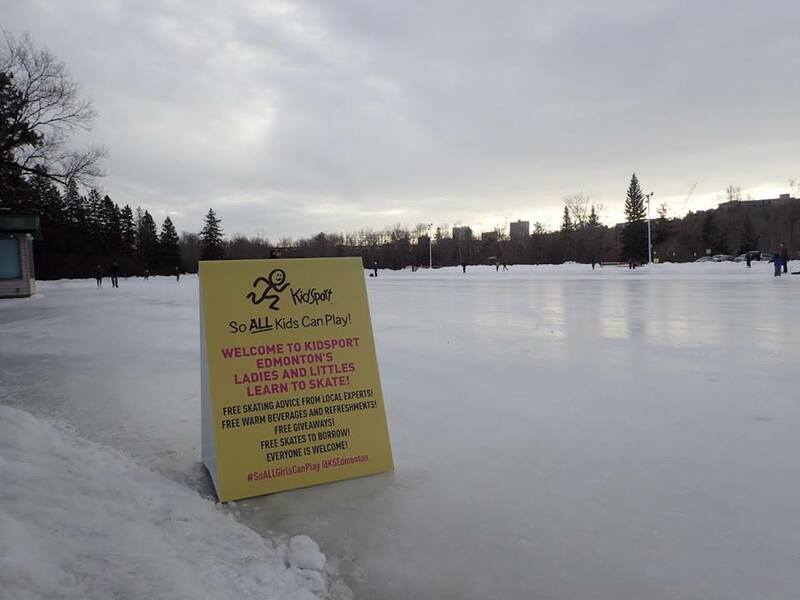 We have been honored to sponsor KidSport Edmonton again this year! 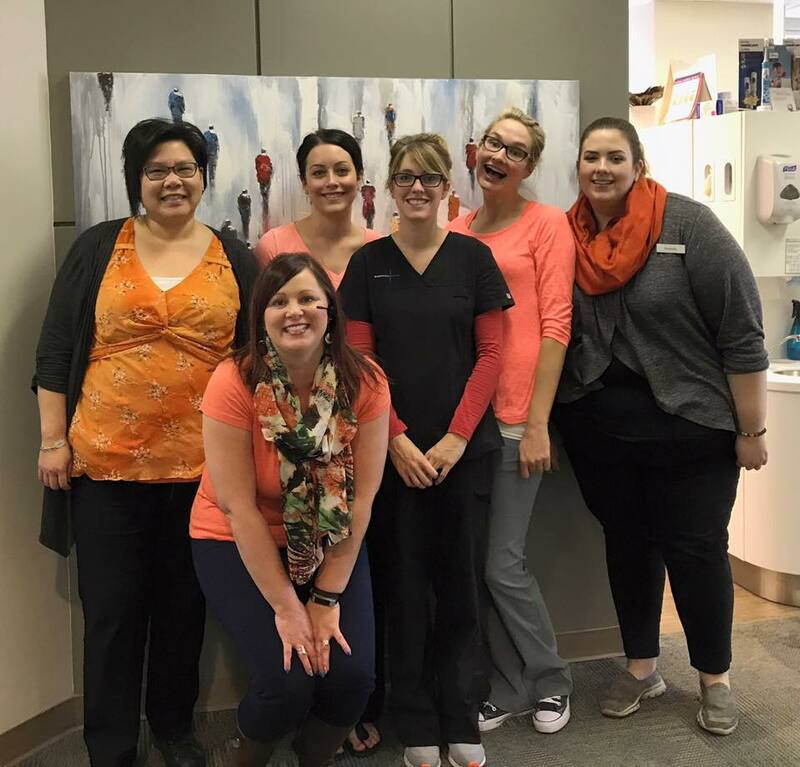 We got together today in our orange to promote Orange Shirt Day. 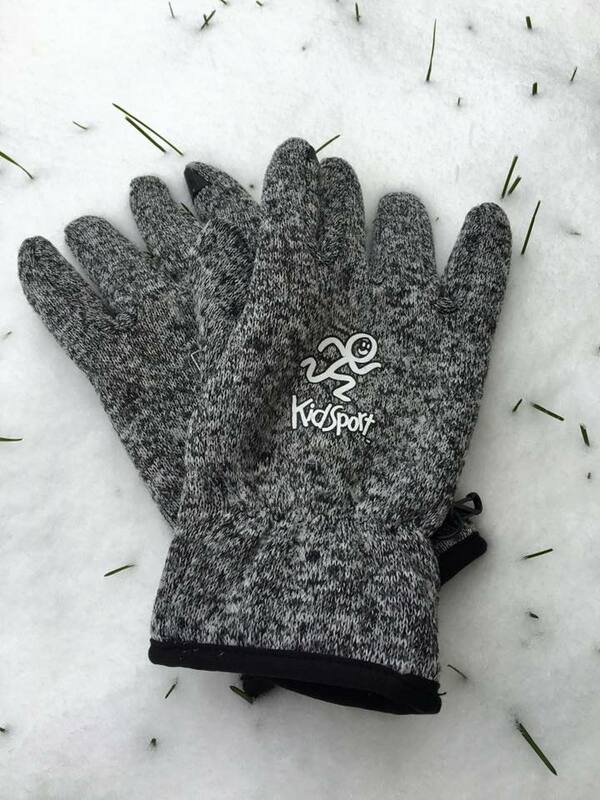 We wanted to take part in this national movement meant to honor residential school survivors. Please join us next year to help spread awareness! We were able to sponsor The Brick Invitational Hockey Tournament again this year. It is a summer tournament for hockey players aged 9-10 that showcases the best talent in North America. 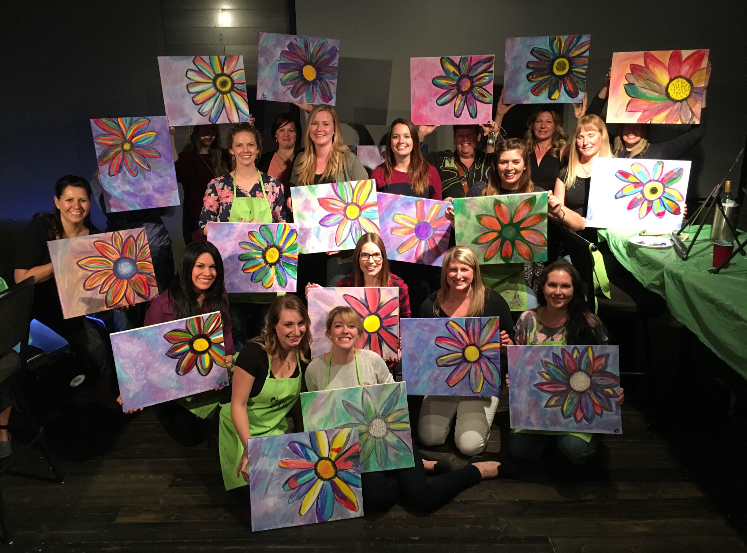 This month we decided to discover our creative side and book a team PaintNite! Our instructor was amazing and it was an awesome team building activity! 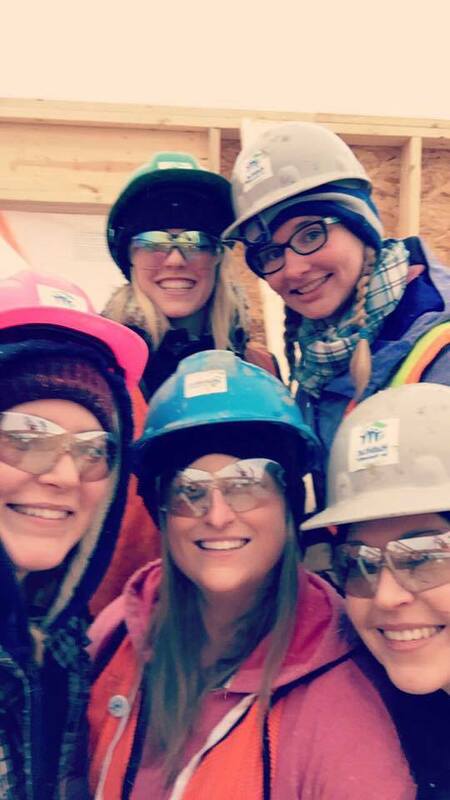 This month we decided to volunteer somewhere new! 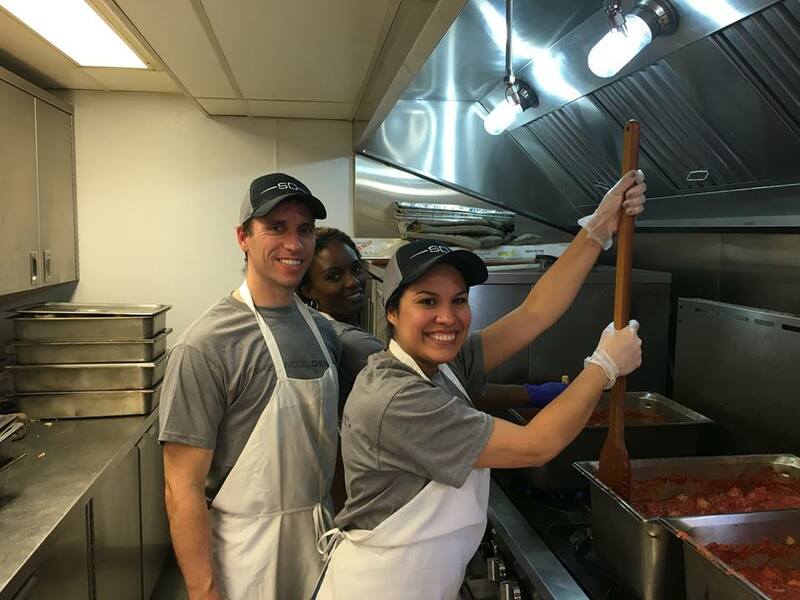 We chose Ronald McDonald House Charities because a large part of our patient base is children. 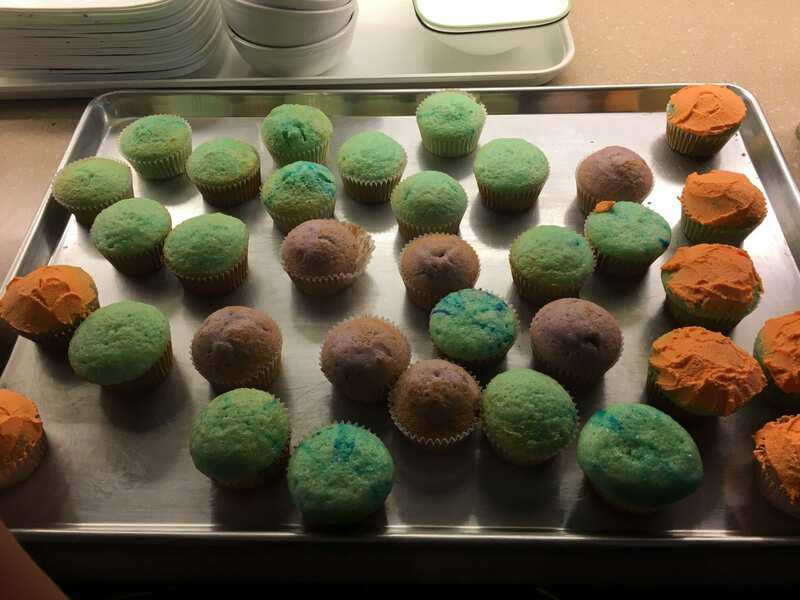 We got to volunteer for their “Helping Hands” program. 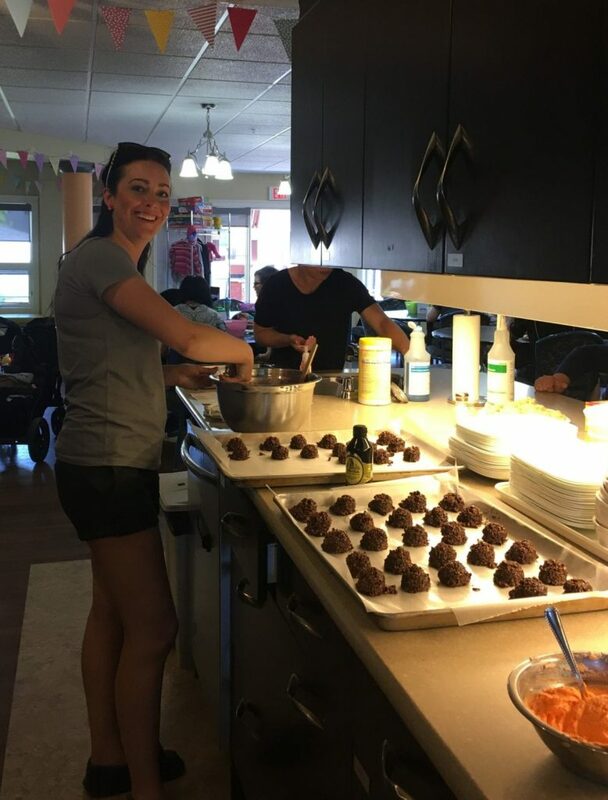 This program allows groups to come in freely in the evening and bake/cook snacks for the families staying at the home. We also got to tour the facility! We had no clue how many families are on their wait-list. It is an amazing organization that is even open to families here for short-term daily visits as well. We highly recommend this organization to other groups and hope to help them again. 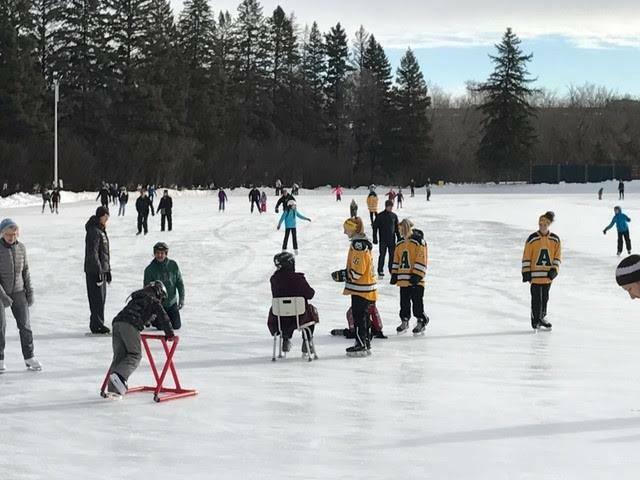 This month we sponsored an event by KidSport Alberta called Ladies and Littles Skating! There were lots of families there that came out to enjoy the beautiful weather. The event was a huge success – lots of participation! 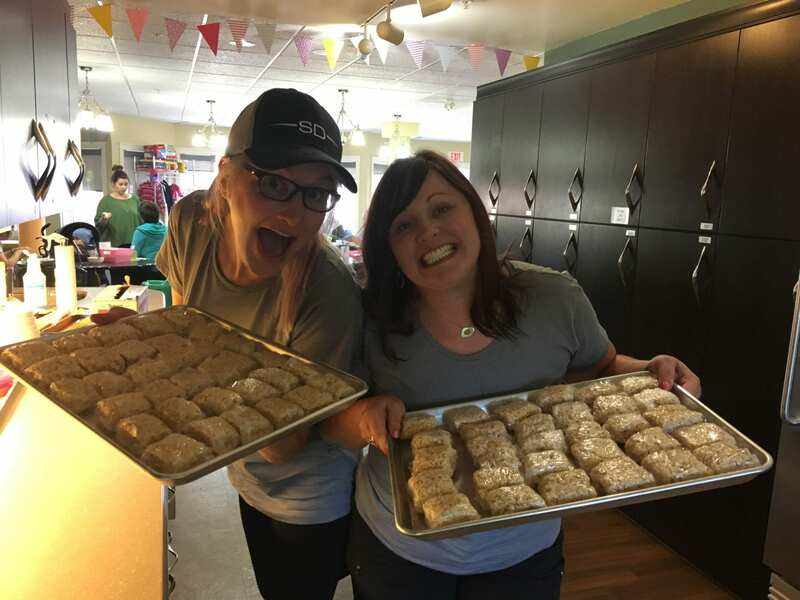 This was our first time volunteering for Meals on Wheels! 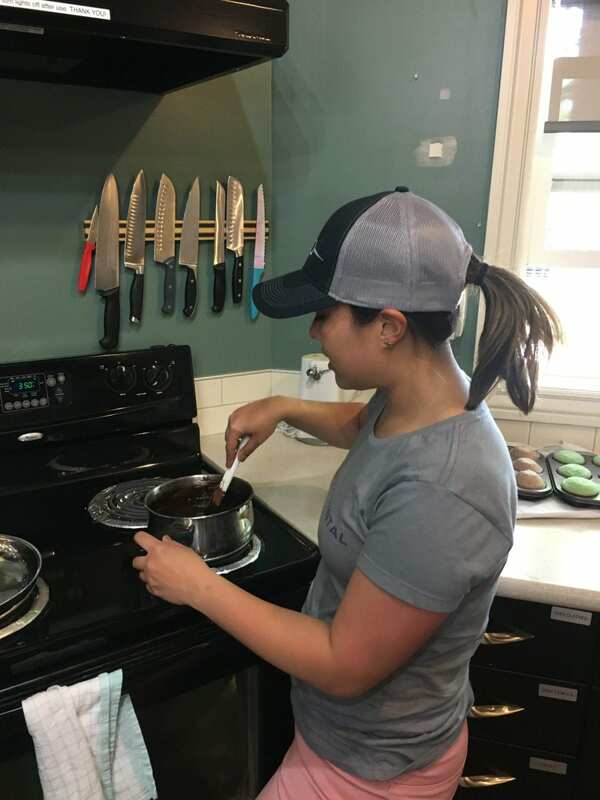 We had no clue how much work goes in to preparing all of the daily meals as well as the freezer meals. It was amazing to see how many people in the community the program helps! 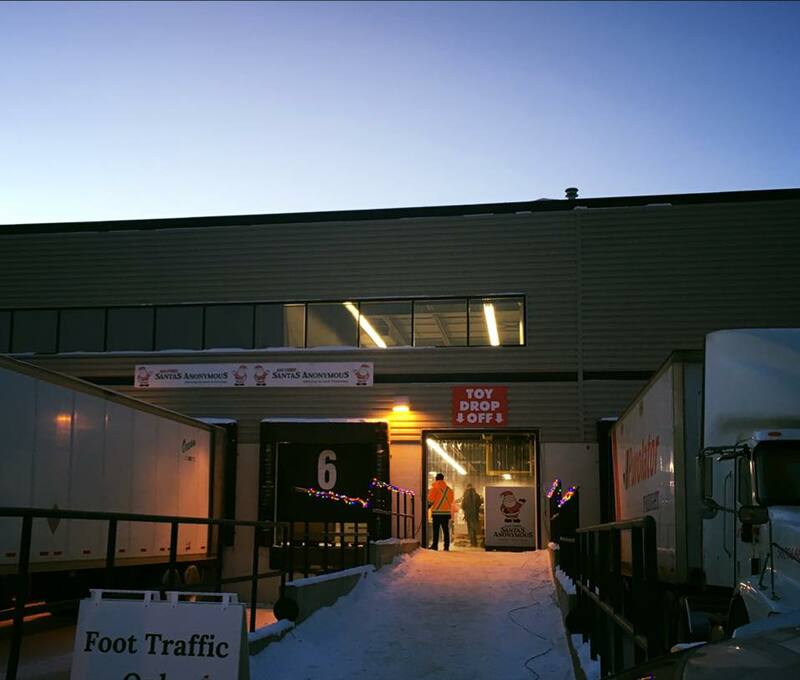 This was our first time as a drop-off location for toys and gifts for Santa’a Anonymous. We donated a trunk full of toys to them this year and hope to signup again next year! We found a new, loving home for our first Festival of Trees purchase from 2014. 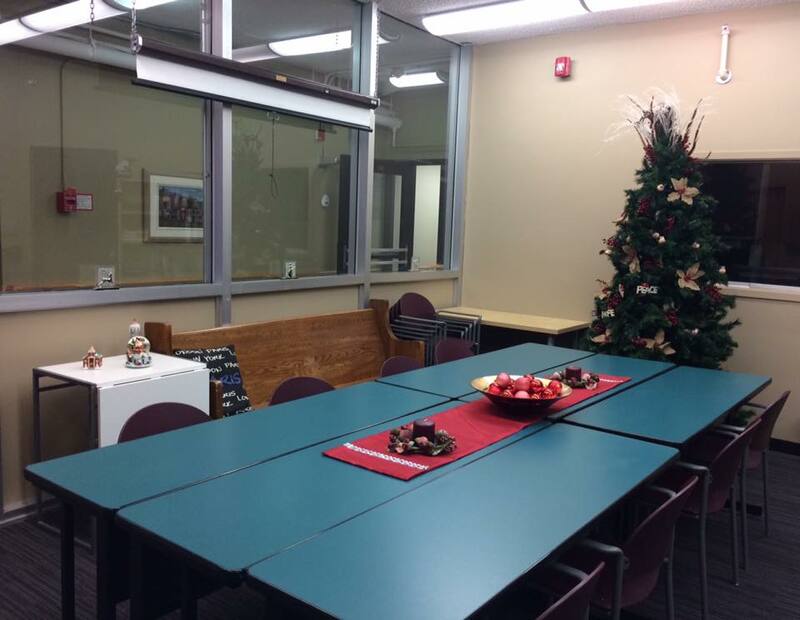 Capital Care Norwood gladly accepted our donation as they needed a tree for their learning room. 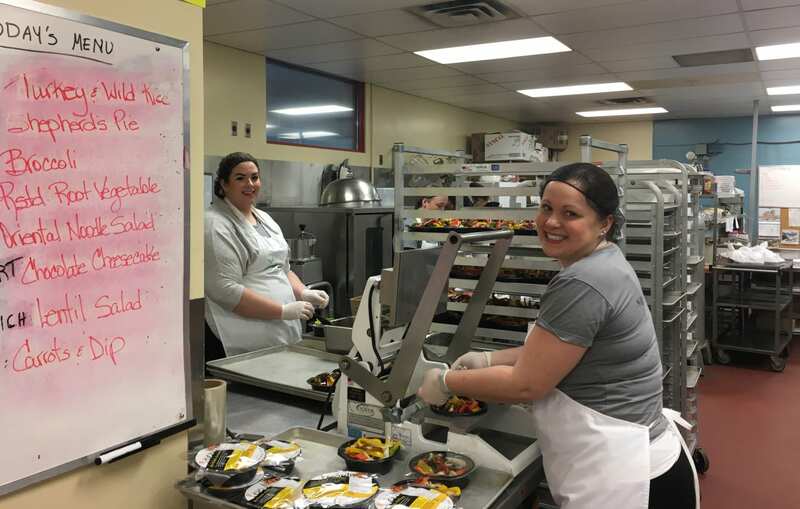 Once a traditional long-term care centre, Norwood now offers a mix of programs which include post-acute care, a palliative hospice and complex long-term care in an environment that supports choice, autonomy and, where possible, independence. 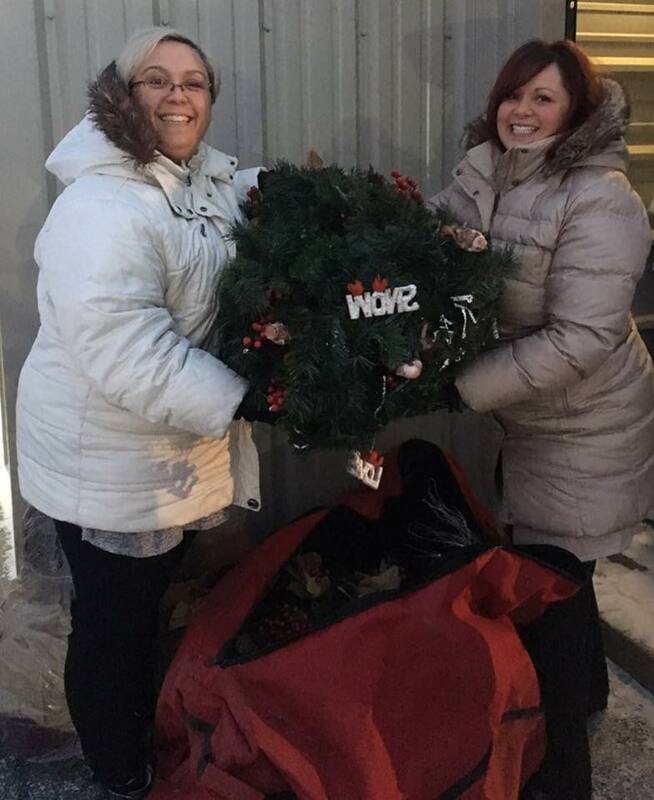 We were honored to attend the Festival of Tress again at Festival Place in Sherwood Park. 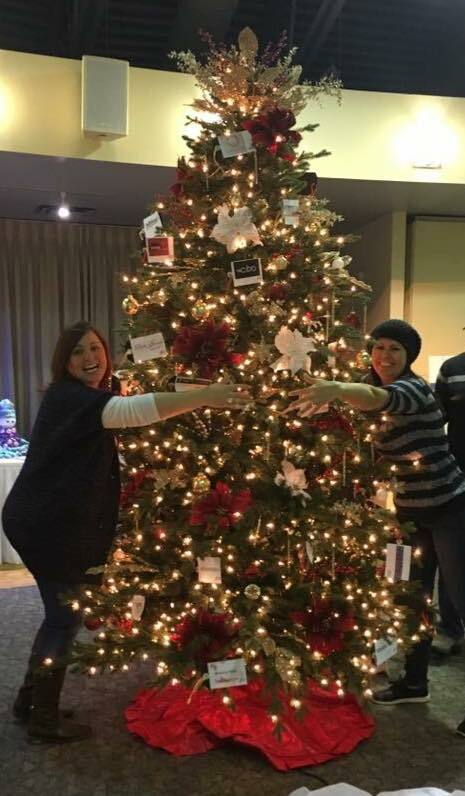 The tree was created and sponsored by Rohit Communities. 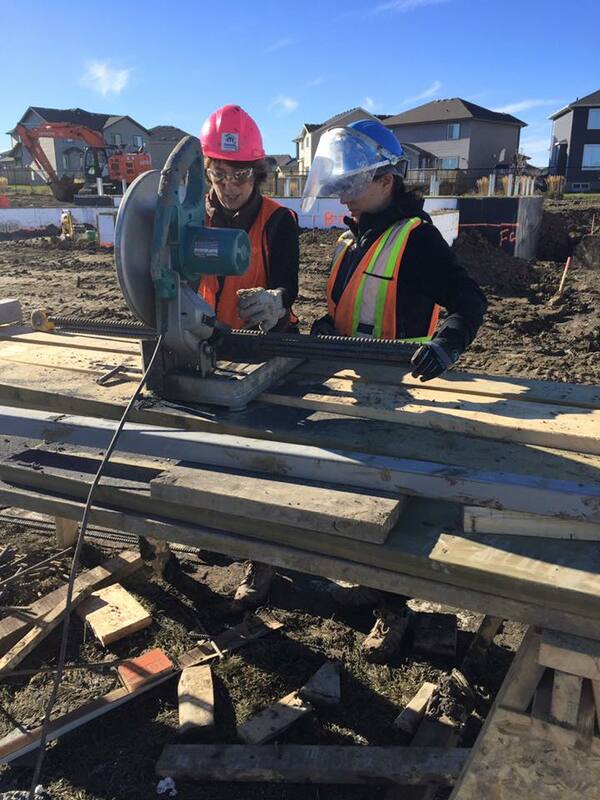 We had our second build date at the Fort Saskatchewan Build Site. Although it was a bit chillier this time around we still had a blast! 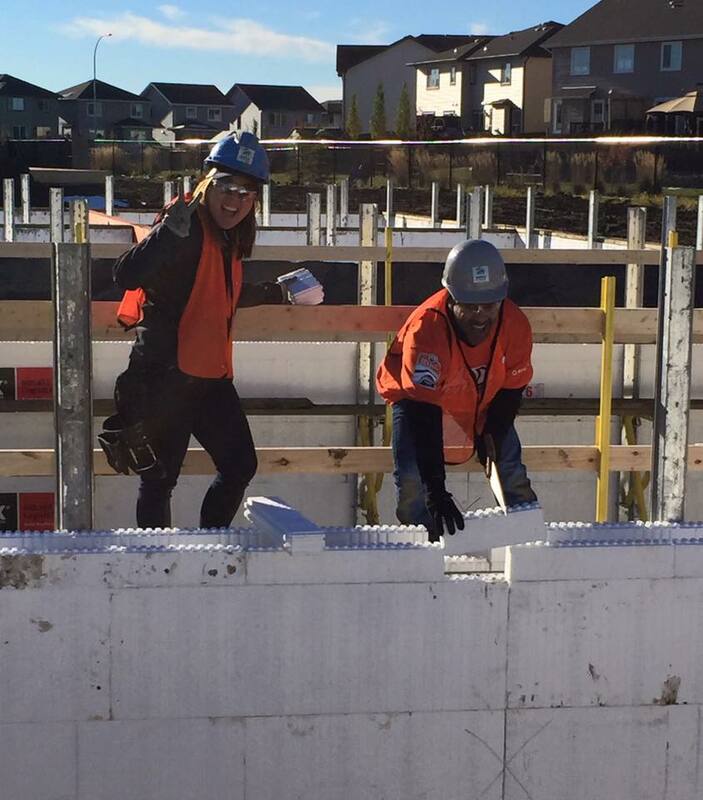 We helped with framing walls during this Saturday at the duplex. 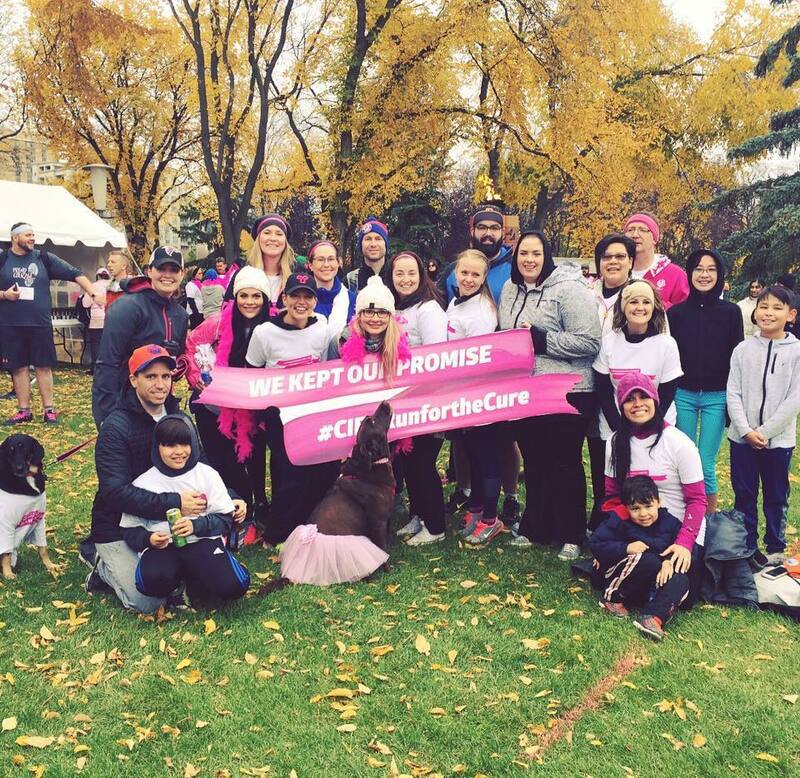 Run for the Cure event for 2016. Everyone had a great time this year. Although it was a little colder than most times we’ve participated it was awesome to see everyone out. Our great staff and their pets and kids came along as well! 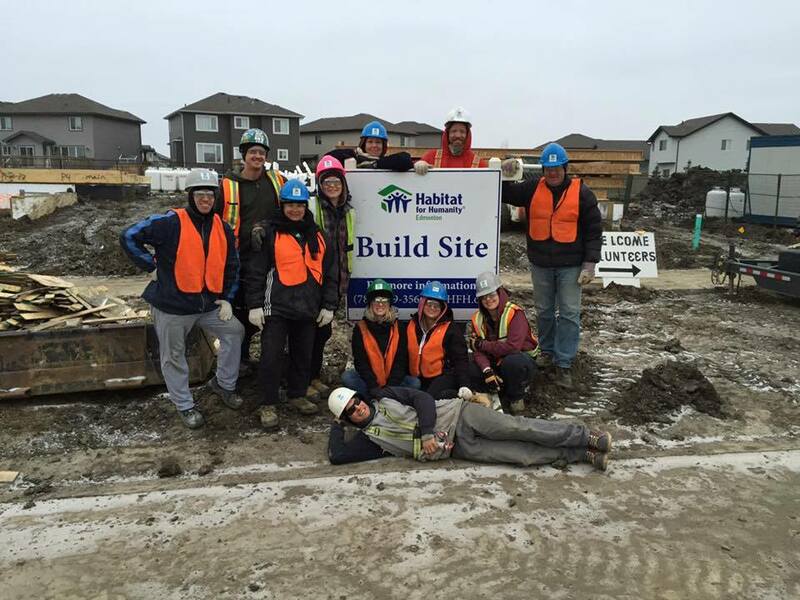 Habitat for Humanity Edmonton had us come out to their new build site in Fort Saskatchewan. It was so much fun. Definitely different work than at the office but totally rewarding. We are looking forward to a second date in November! 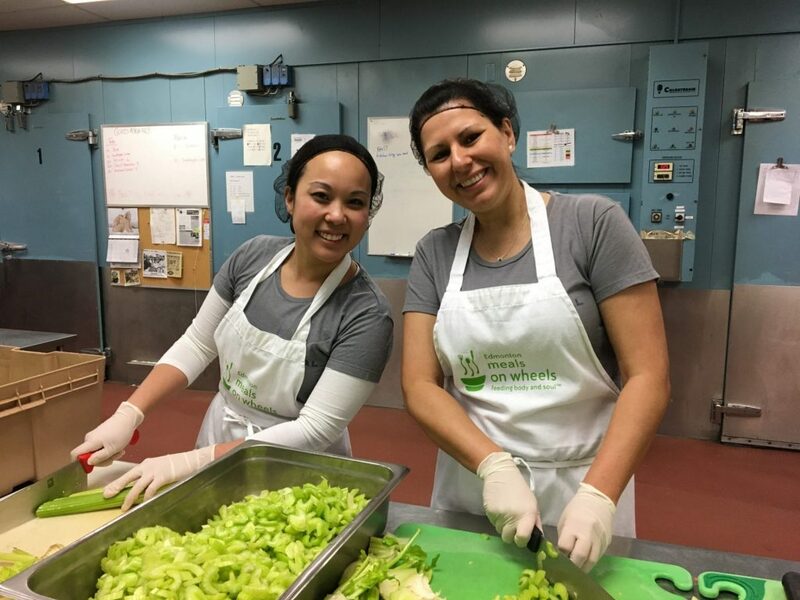 We love volunteering here so much that we signed up with The Mustard Seed for our third time! 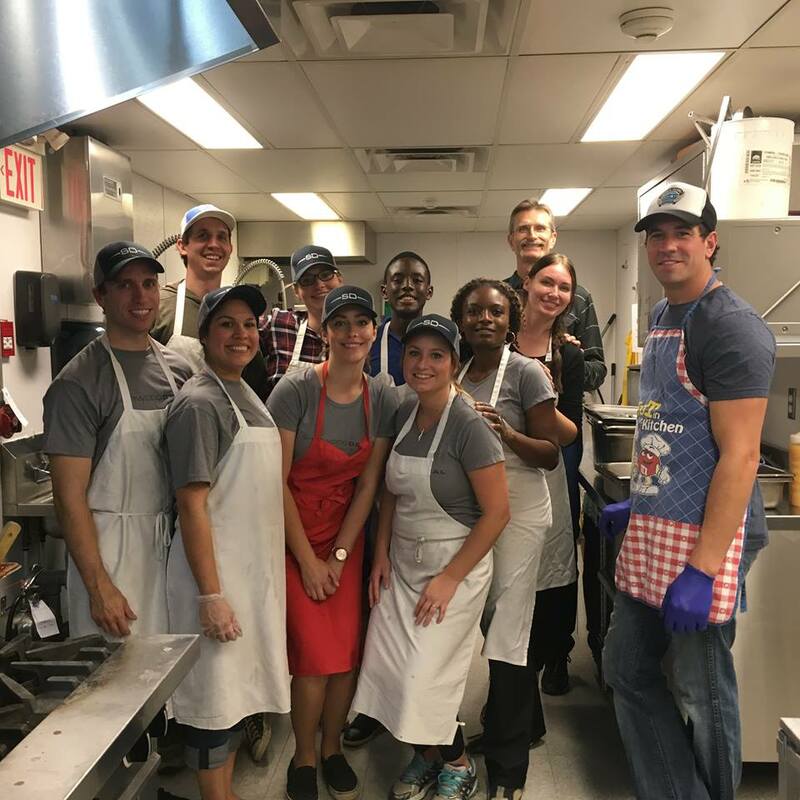 They really needed volunteers in September so we took the initiative to organize another date! We made spaghetti, meatballs, and salad for dinner. 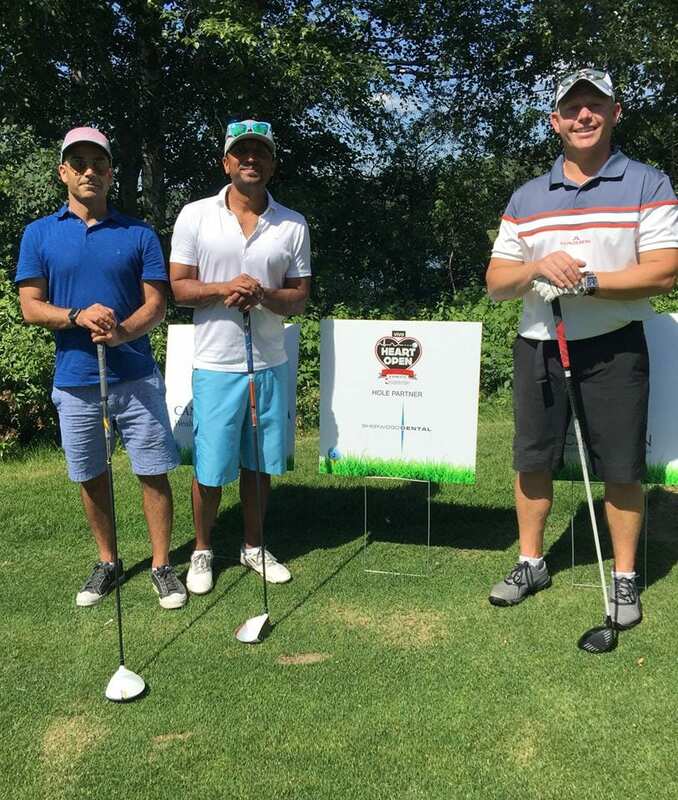 We Sponsored the KidSport annual event BidsforKids. It is the organizations biggest fundraiser of the year. It pays for registration fees for kids in our area. We have so many staff with young children in sports so this is a cause that is dear to us. Everyone should be given the chance to participate in organized sports as a child. Wow! 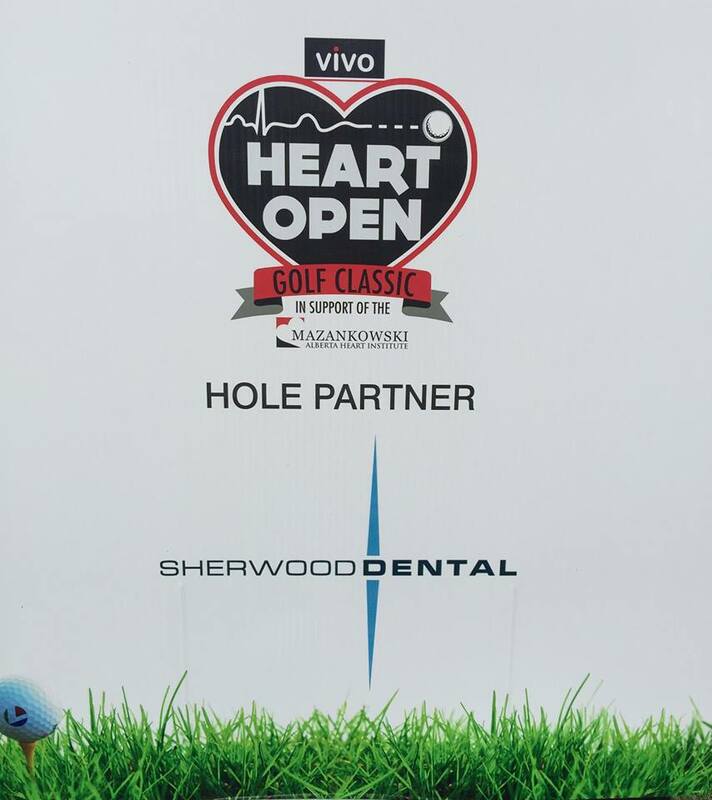 What an opportunity Sherwood Dental had to participate in the VIVO Heart Open. 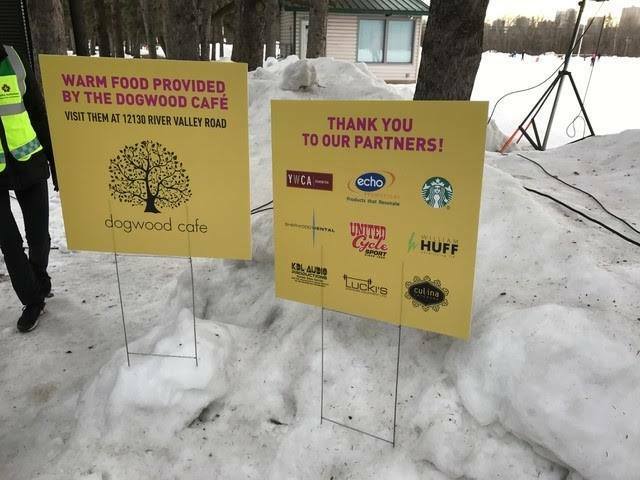 We were able to even have a sponsored hole at the event. The tournament is to raise funds for the Mazankowski Heart Institute. We have one of the best heart institutes in the world, right here in our very own city! 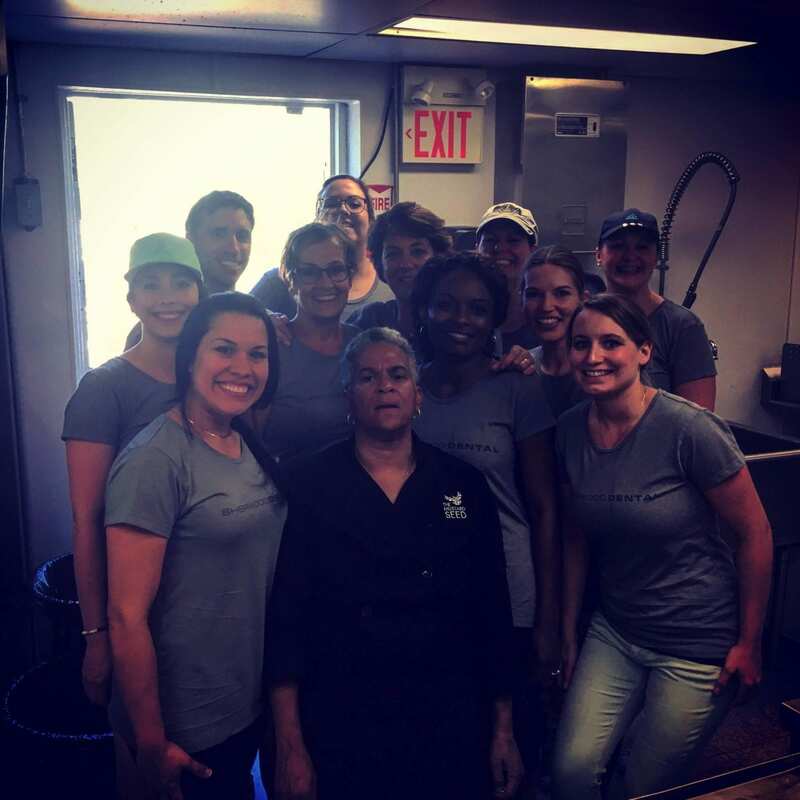 We volunteered and sponsored a meal again with The Mustard Seed. They keep us coming back for seconds! This time it was chicken burgers on the menu! The kitchen was a bit warm that evening but the meal turned out great. 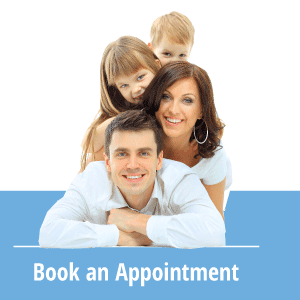 Dr. Holzman and his wife were able to attend this time and they loved it! We raised $3000 for the Canadian Red Cross to Help with Relief efforts. 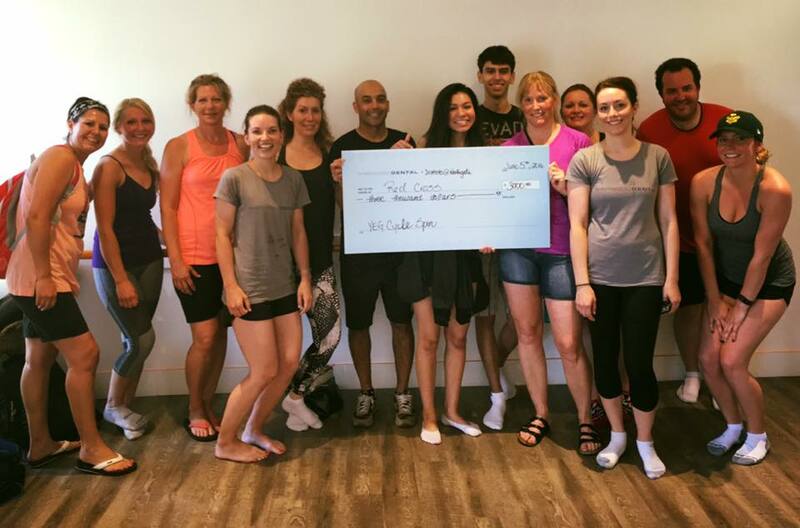 YEGCycle allowed us the chance to raise money through their charity classes they offer. 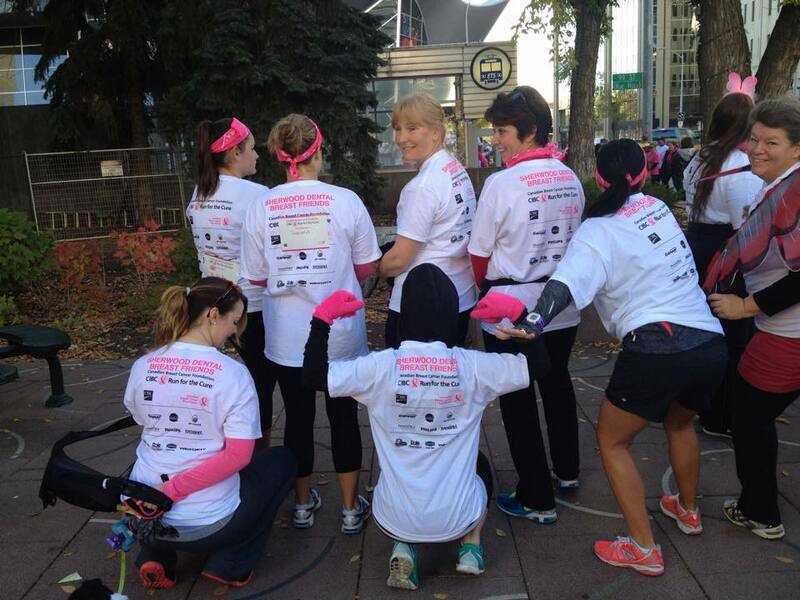 Thanks to Farha at YEGCycle for helping organize our group. The spin class was full of tons of energy and the Dentists at Northgate also came along to join us! It was the first time a lot of us had done spin and we will definitely be back! The fires in Fort McMurray were devastating. Our staff had many ties to the area. 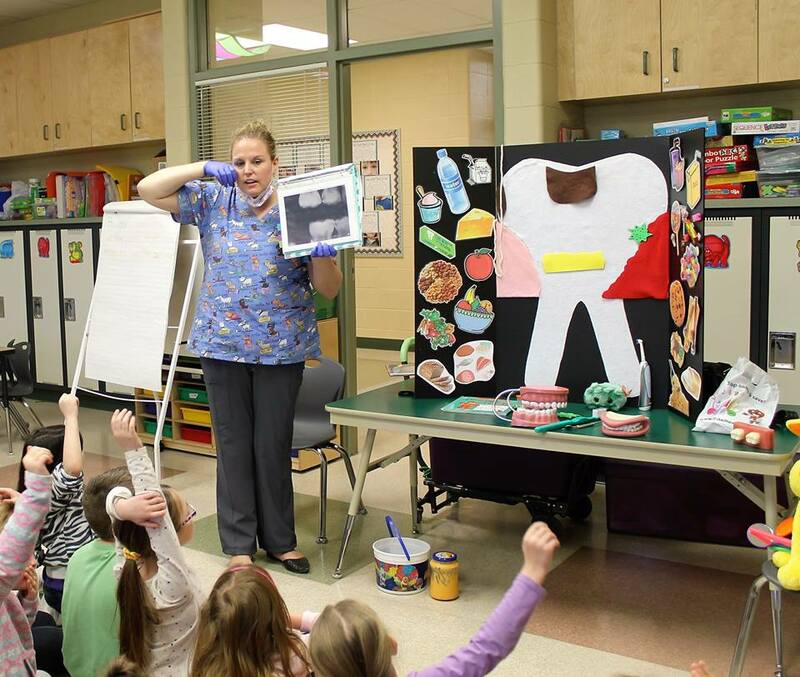 We also had fellow dental offices that were affected by this tragic event. 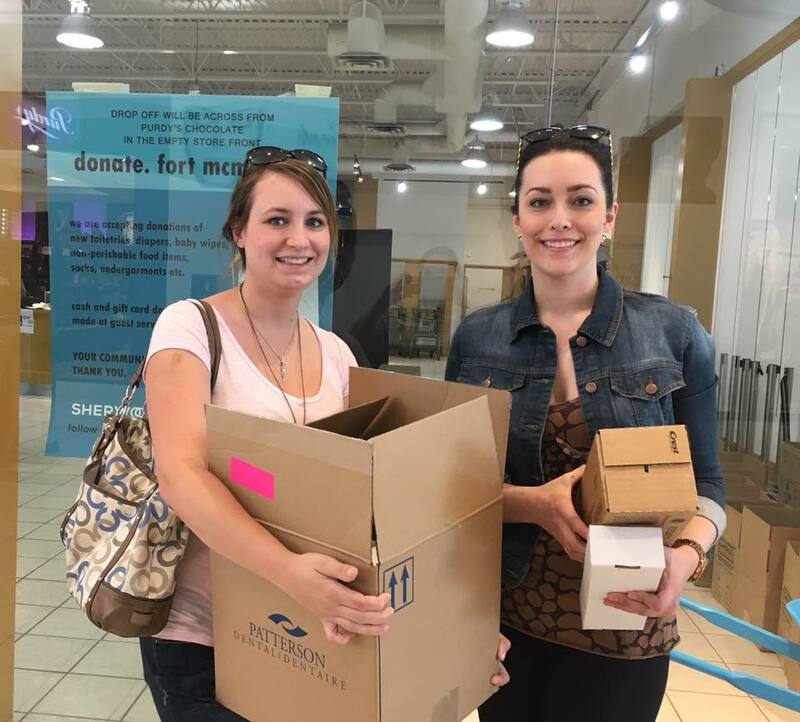 We donated toothbrushes, mouthwash, and toothpaste to help efforts with the Fort McMurray fires that occurred that summer. Thanks to Thea and Kristy for dropping everything off! 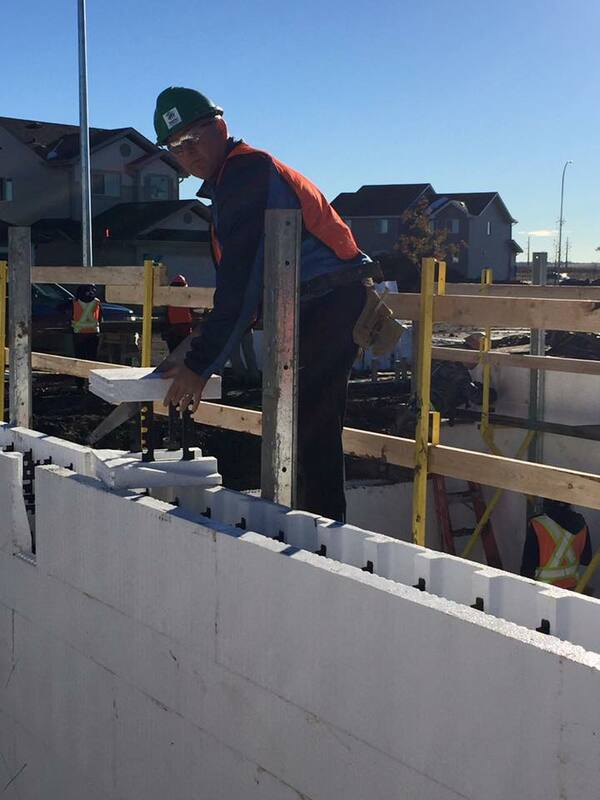 Dr. Dowty sponsored ShelterBox and his patient at Strathcona Composite for their Bike-a-thon. 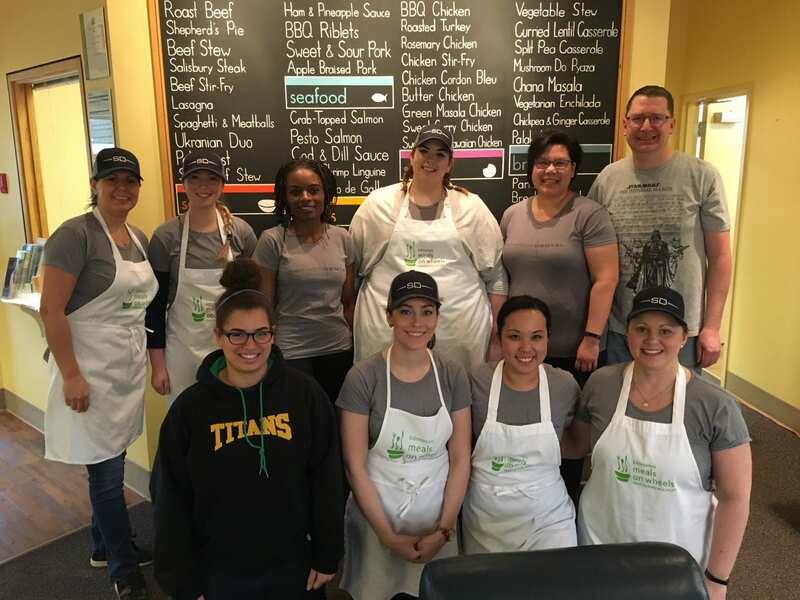 We began our ongoing sponsorship and volunteering with The Mustard Seed. It was such an amazing experience! 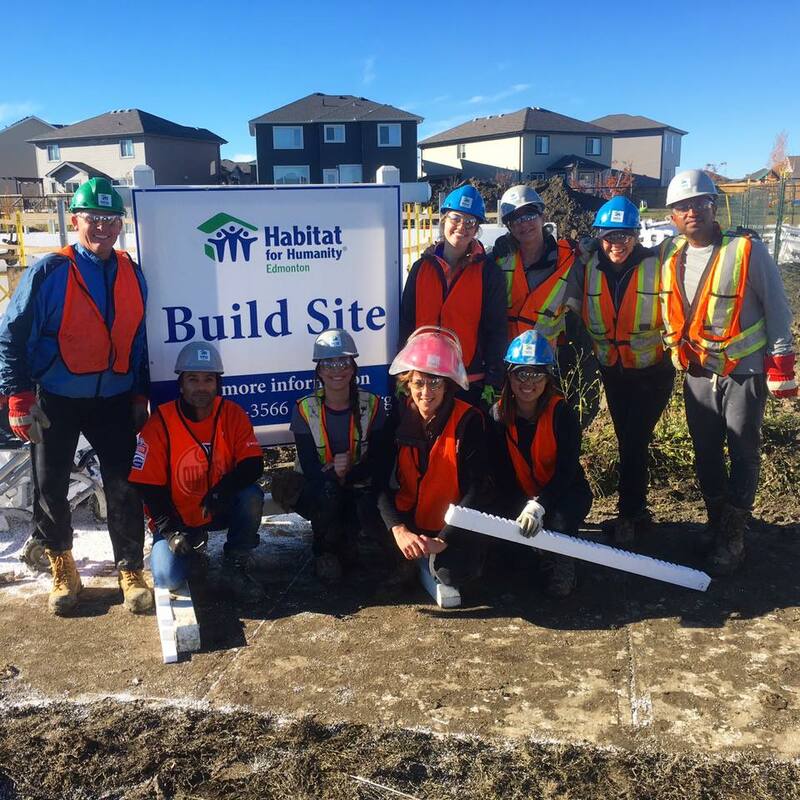 Dr. Ghai and the rest of the team came out to volunteer. 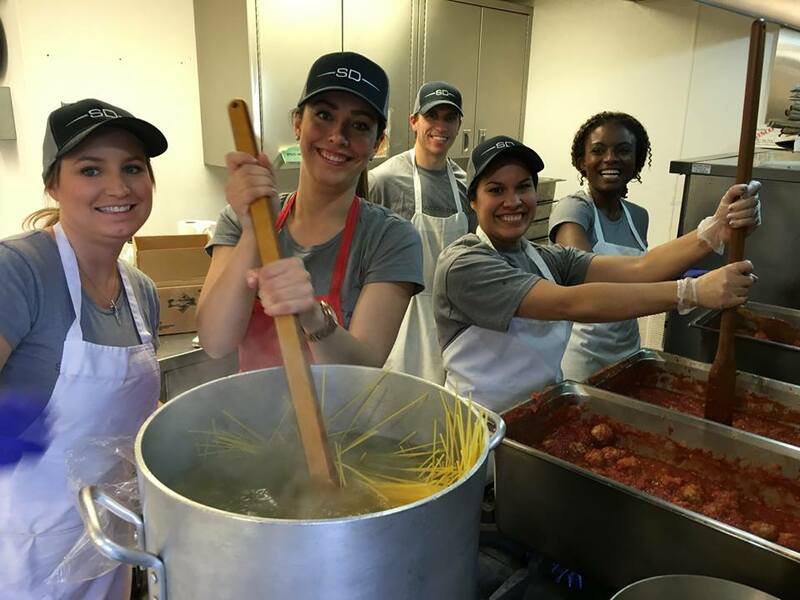 We served Meatballs and Rice that evening. 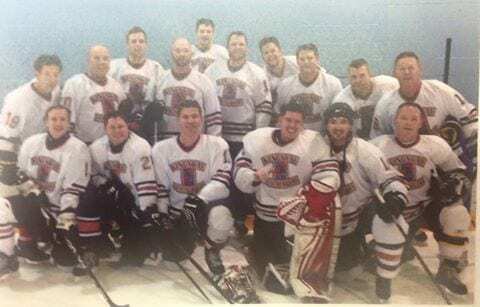 Dr. Dowty’s Dental Hockey Tournament raised $1000 for Kindness in Action and $300 for various other charities. He does this tournament every year with a bunch of other dentists in the city. 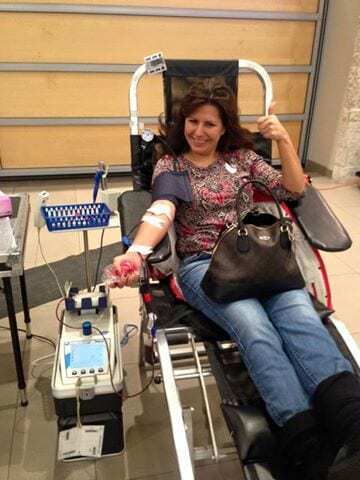 Blood Drive for Canadian Blood Services at Center in the Park. 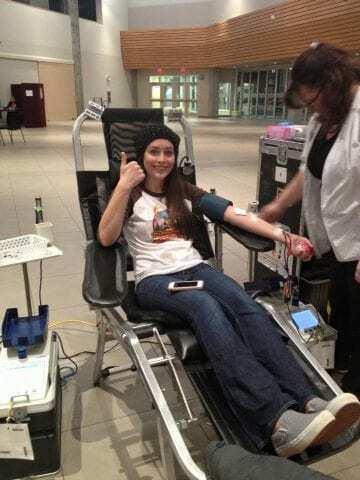 Dee Dee, Kelsey, Raena, and Kristy went down and donated! 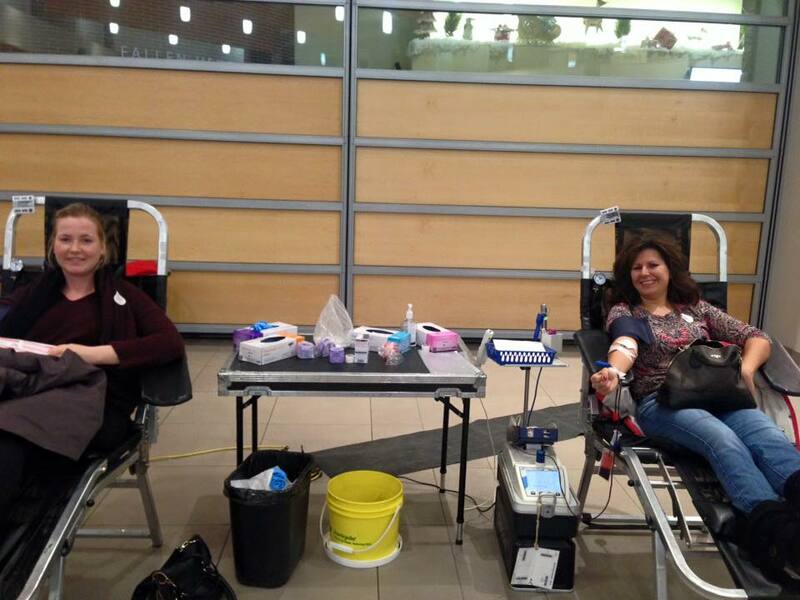 Kelsey and Kristy were first time donors-way to be brave ladies! Clothing and Food Drive for the Mosaic Center. Thanks Dee Dee for making sure all the donations made it there in time! 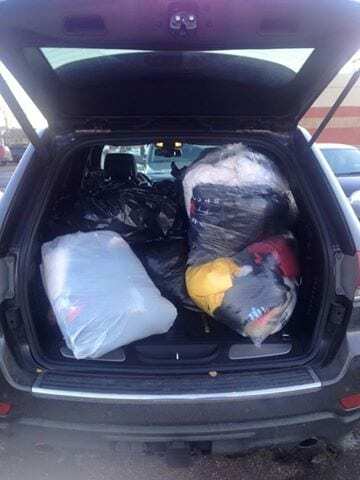 The warm jackets we donated we’re sure were valuable to community members. 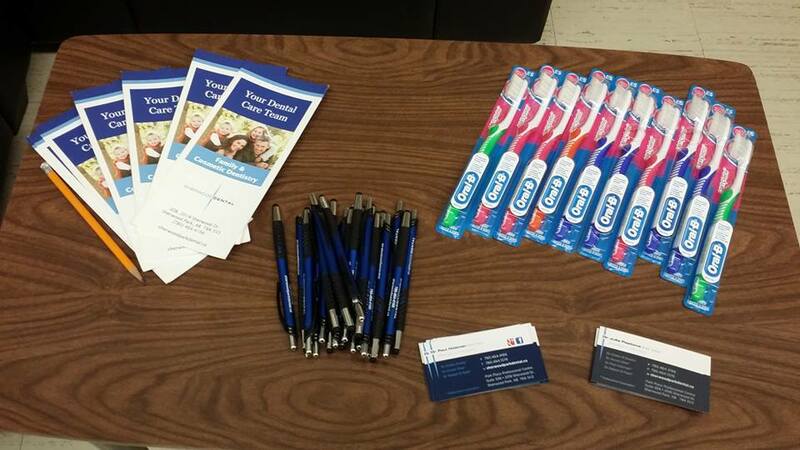 Our sponsorship with Tooth Talks began! 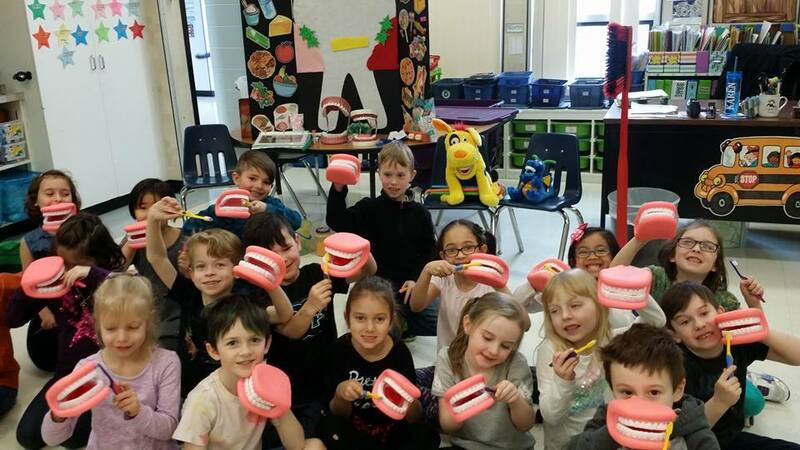 Tenille is a local hygienist who goes to schools in the community to help teach children about the important of oral hygiene. 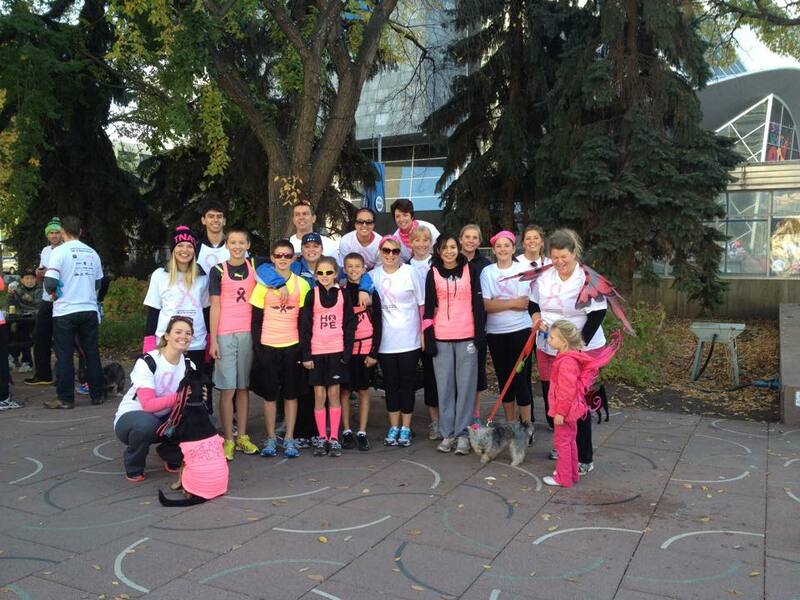 Breast Friends Run for the Cure @ Churchill Square. 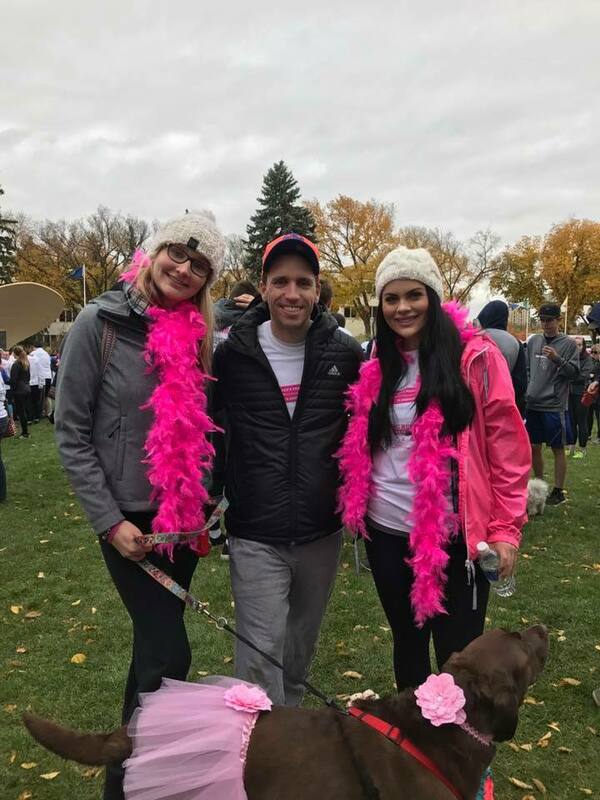 Our staff, their pets, and family members all make it out every year to this event!